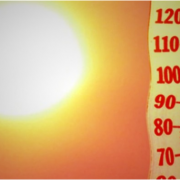 Summer is just around the corner, and in some regions, it’s already getting hot outside. Knowing how to prepare for the summer season can make a trucker’s work easier, more enjoyable and more profitable. 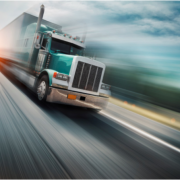 While trucking software can remind you when the next checkup is due and how to choose the best roads, there are a few tips you can still take advantage of. While the trucking company software is a perfect tool for coming up with the fastest route, it’s still up to you to pay close attention to the condition of the refrigerated units. Summer heat can make the units work harder and break down faster. Accordingly, you need to check the cooled compartments on a regular basis and make sure the proper maintenance is performed. If you are a trucker relying solely on the trucking software to let you know the maintenance time, you might be in trouble. Summer heat should make you check the truck frequently. Dehydration is one of the trucker’s worst enemies. When loading or unloading the truck, you might not feel the toll the heat is taking on your body. Take advantage of the trucking software to plan the water refill stops. Whenever you feel an urgent need for water, your body is already seriously hydrated. Try to prevent this feeling by drinking on a regular basis. Whether you want to drink or not, make sure to take a few gulps of water every 15 minutes or so when working out in the sun. Remember, even the best trucking software can’t do the right summer stop planning for you unless you give it the right input. 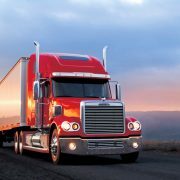 Trucking software can tell you when to start your summer preparations. It’s up to you to make sure they are fast and efficient. You need to take care of the winter sand and salt residues. This can help you avoid corrosion during the summer. The importance of summer cleaning can’t be underestimated. You need to get inside such hidden spots as radiator and undercarriage. Whatever hard to reach places you can find, reach there. You can save yourself some costly repairs down the road. Use trucking software to plan the cleaning and schedule repairs. Even though the trucking company software can be used to schedule tire replacements, it’s up to you to check the tires in the summer. The heat can wear out the tires much faster than cool weather conditions. Make sure to check the tires before each run. Use the trucking software to look up when you last replaced the brake system parts. Hot temperatures can cause the brakes to lose traction. Make sure to prevent these problems by checking the brakes before and after each hot weather run. Trucking software is a wonderful tool to help you prepare for hot summer truck driving. However, relying solely on software can be a mistake. Make sure to follow the tips and stay safe on the road. While a job as a trucker is far from a piece of cake, being a trucker’s wife can be even more complicated. Not many women realize how hard it is to let your loved one go for weeks at a time. Since the truckers are in big demand right now, many men make a decision to train for a new occupation. Suddenly an office worker’s wife, who is used to having her hubby come back home at 7 p.m., has to deal with weeklong absences. Here are a few things that can help a trucker’s wife deal with her husband’s new job. Anything you don’t have a good understanding of seems scary and unfavorable. Thankfully, there are plenty of information about the trucker’s job available online. Your best bet would be to browse the trucker’s forums. Various truckers’ stories can give you a good idea of what the job is like and what to expect. Flexibility is a major part of every trucker’s job. You have no idea what might happen tomorrow, which means that your husband’s ETA can change from a few hours to a few days. Forget about running to clean the house and cooking his favorite dishes the moment he tells you that he’s coming tomorrow. Relax and start the preparations only when his time of the arrival is clear. Always be ready to hear about the change of plans. If you make a small effort, you can see the obvious benefits of a trucker’s job. While your husband is away, you can spend less time cooking and cleaning and more time doing things for yourself. Most of the time, people don’t realize how valuable the “alone” time is. Learn how to take advantage of it. If you have small children, you need to arrange for babysitters. You won’t be able to deal with them all on your own. So before your husband goes on his first run, make sure you discuss the extra babysitter expenses. The main reason for the truckers’ divorce is the lack of trust. Some wives go crazy with jealousy since they can’t control their husband’s every move. The longer he is away, the more dark thoughts tend to creep into the wife’s mind. Thankfully, 99% of the time they are groundless. Learn to trust your husband. Most of the time, a trucker has a chance to take his wife on a run or two to show her around. Ask your husband to go with him so you can find out how he spends his workdays.